On April 14, 2018, Syrians were awoken by the sounds of about 120 missiles/bombs sent against areas of their country. The United States of America, United Kingdom, and France launched this attack related to claims of chemical weapons use earlier that week. Will Syria's capital one day be destroyed as prophesied in Isaiah chapter 17? If so, could this be before the start of the Great Tribulation? Are there prophecies about Syrians and the UK and USA? 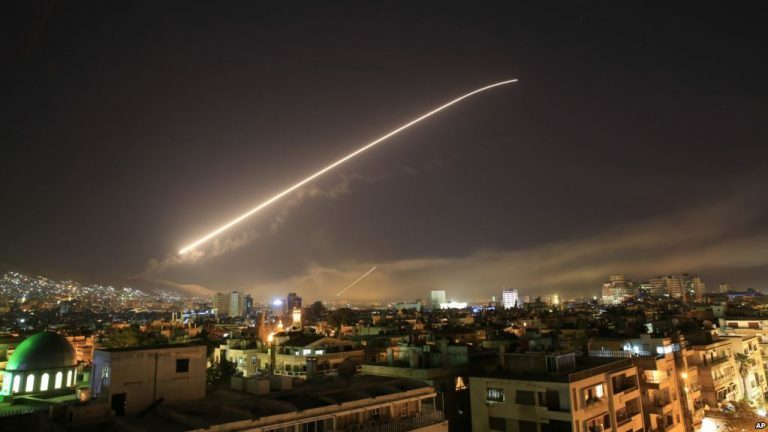 Is this attack against Syria leading to WWIII between the USA/UK/France and Russia/Syria/Iran? Is there an Arabic power that will rise up and be destroyed before the Great Tribulation as Tim McHyde has written related to Psalm 83? Is Ezekiel 38/39 about to be fulfilled? Who is the biblical King of the North and the biblical King of the South? Will the Beast power destroy the USA and its Anglo-Saxon descended allies (like the UK, Canada, Australia, & New Zealand)? Could this be WWIII and the start of the Great Tribulation? What is the prophetic sequence of events according to Jesus and Daniel the prophet? Dr. Thiel addresses all of these matters and more.